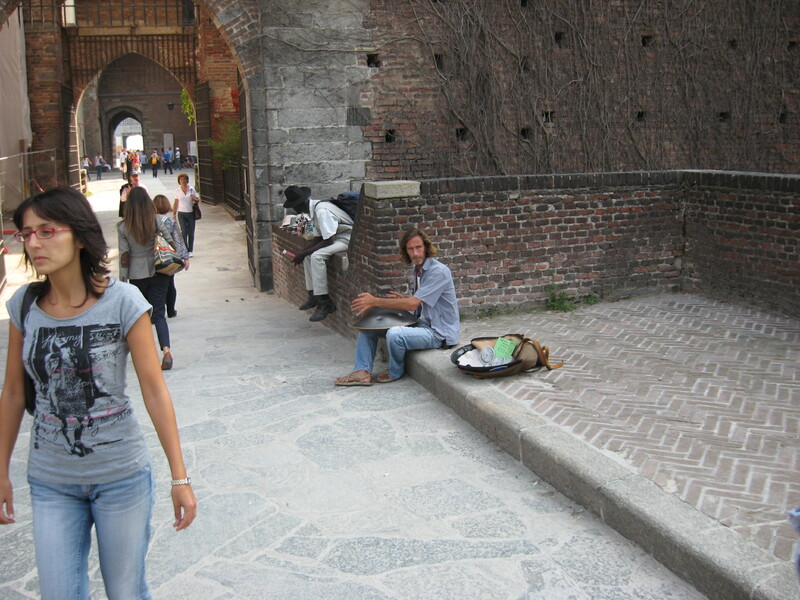 When I was at FUDCon Milan I came across a guy playing a weird musical instrument (see photo below). I haven’t seen it before and I have no idea how it is called, but the sound of it was just great. Is here anyone who knows what it is? Tell me. Thanks! Yesterday I’ve finished reading Lawrence Lessig – Free Culture. It is an extraordinary book and I recommend it to everyone. Particularly if you are interested in free content, public domain, creativity, peer-to-peer networks, piracy, multimedia corporations, copyright, patents, laws and everything related. Lawrence Lessig is a law professor, yet he has the gift to write very comprehensibly and engagingly even for simple mortal IANAL audience. His character is as extraordinary as the book itself. He doesn’t just teach law at Hardward Law School, he also engages or was engaged at boards of Creative Commons and Electronic Frontier Foundation. He stood before the Supreme Court of the USA and defended public domain against the ever extending reach of copyright. You will find yourself thinking about the current “copyright vs P2P” war in a whole different perspective. The book is free to download, what are you still waiting for? Although I don’t know Spanish (or whatever language it is) I glanced over potty’s blogpost Problema Fullscreen Flash y Compiz. It caught my attention and I quickly googled up Secrets Of The mms.cfg File. I tried it on my home laptop (nvidia binary drivers, Compiz) and voila – finally the fullscreen flash doesn’t stutter when moving the mouse cursor around. Wow! Some time ago I reported a bug that recordmydesktop (my favorite desktop recorder) had stopped working properly. Because of last libtheora update regarding bitrate settings the software now produced videos with broken framerate. Unfortunately the upstream maintainer is clearly unresponsive, so this bug had to be fixed on the Fedora level (thanks Gregory Maxwell). That’s not optimal, but at least it works now. To my pleasant surprise, it was the same fix that we did in Fedora that now landed in Ubuntu. The links even mention my original report in Red Hat Bugzilla. And why do I write all this? No particular reason. I am just very happy that collaboration is in the very heart of the opensource projects, as compared to the proprietary ones. And I wanted to share with you the warm feeling that my single bug report have had positive impact not only for Fedora users, but also for users of other distributions. Opensource still works 🙂 Don’t hesitate to report bugs, it’s worth it.